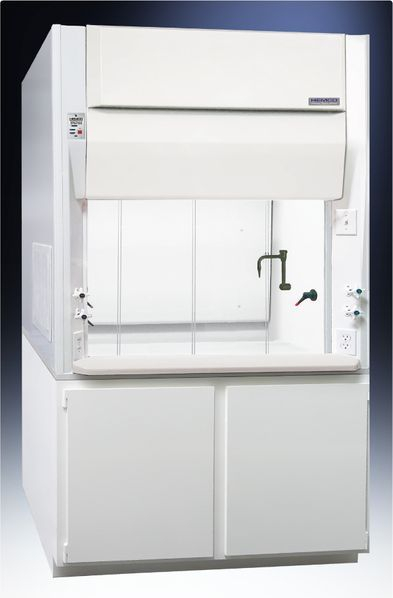 UniFlow Polypro Trace Metals Fume Hoods are designed for applications where no metal can be present. 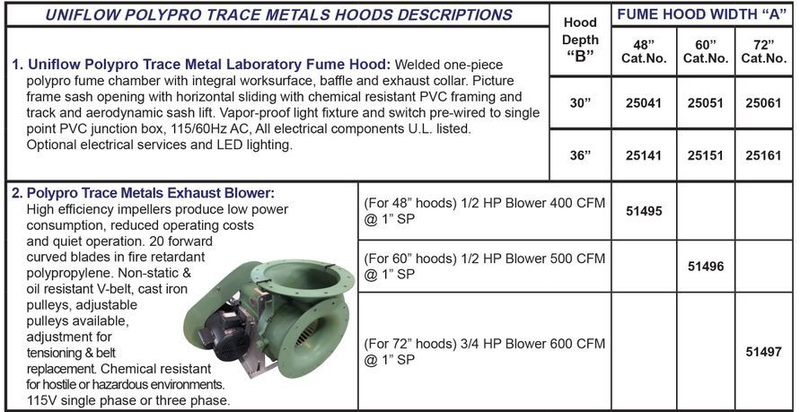 These hoods feature a totally non-metallic construction and are available in sizes of 48”, 60”, 72” widths and 30” or 36” depths. 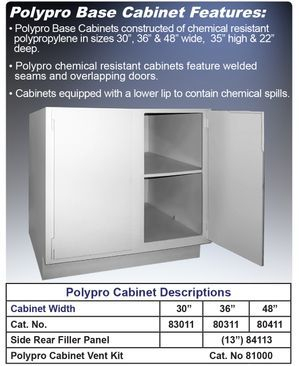 UniFlow Superstructure features a welded one-piece polypropylene fume chamber with integral worksurface with baffle and exhaust collar, creating a chemical resistant (NO RUST), dual wall construction. 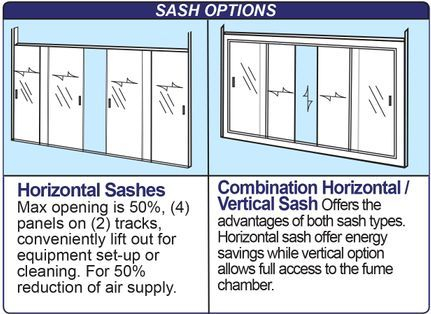 Meets NFPA 45 requirements for flame spread. white, glass smooth for ease of cleaning & light reflectivity. VaraFlow Baffle System constructed of same polypropylene, maintains uniform air flow thru the fume chamber to exhaust collar outlet. Energy Efficient vapor proof non-metallic light fixture with light switch on left column, with PVC conduit and junction box. 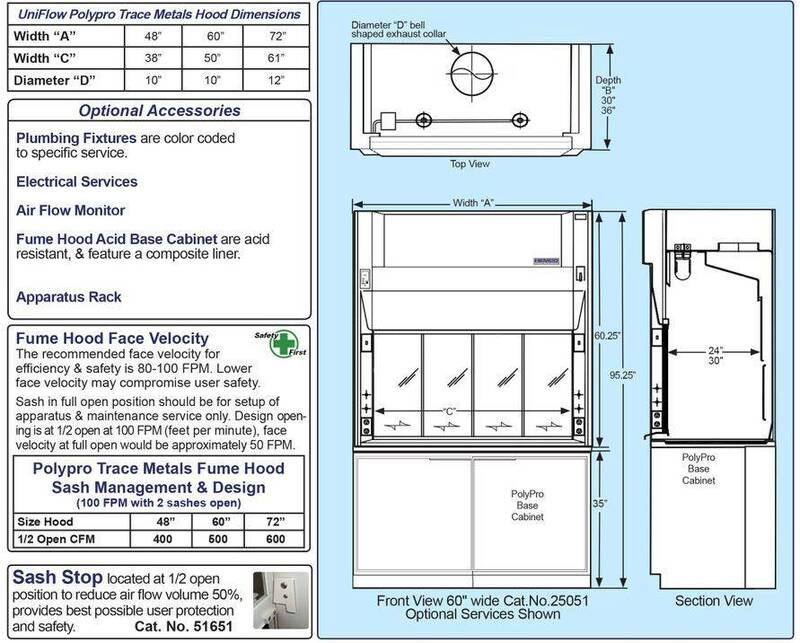 28” Viewing Height interior fume chamber with 24" or 30" interior reach in depth. 44" interior working height, allowing for tall apparatus and distillation grid. Angled Picture Frame Opening the aerodynamic face opening with air foil provides uniform air flow into the fume chamber and thru the VaraFlow baffle system to the exhaust collar.